Forgive us southerners: snow is a rarified experience. We just don't receive enough of the white stuff to feel burdened by its presence. We're the ones on facebook and instagram saying "let it snow" and gushing on about how "fun" it will be if a few inches of the powdery goodness falls upon our southern city. It must drive those of you scraping off your windshields and shoveling snow crazy. And for that, we're sorry. On the rare occasion that we do experience any significant accumulation, our cities literally shut down for a few days until the mercury rises and melts it away. We're sissies and really can't handle the cold. Usually we only see a light dusting that doesn't allow us to really feel the thrill of snowfall, anyway. Believe it or not we suffer from snow envy. We just want the snow on our terms. For this reason, many of us head to the slopes during winter months to get our fix of fabulous snow-covered scenery. Even those of us who don't ski love the scenery and the vibe. There we can indulge in our fantasy of cuddling under fur blankets by the hearth, sipping cocoa straight from the stove and tending to a fire just to keep our toes warm. Surely that's what you all are doing up north all day... right? We seem to believe you're living out our winter wonderland lives for us. Rustic ski lodge fantasies? Guilty. And we actually look for excuses to pull out the gloves and coats because they are novelty items rather than survival tools. Unfortunately, winter is just getting started and our achingly cold feet indicate that we are poorly prepared for this frigid polar weather. Want to mimic that fabulous ski chalet cozy vibe at home? Right now I certainly do. I'm craving (more) plump pillows, antler accents (yes, I know it's silly), far more blankets (because, dear God it is cold) and definitely more hot cocoa. I'm also having flights of fancy about trying my snowboarding skills. 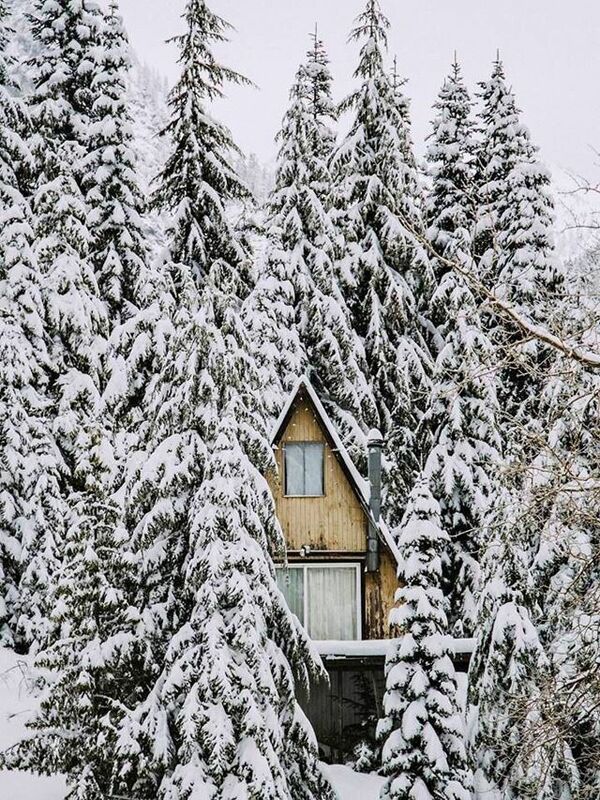 So.... who wants to go on a make believe snow-covered mountain escape with me today? Are you in? Whatever your weather, I hope you'll enjoy the day and dress the part. I'm learning to embrace the season - whatever that is - and indulge in the weather as it comes. Happy Friday to you all!